10:45 AM "Sunday Morning Worship"
Thanks for visiting us online. Spend some time browsing the site. 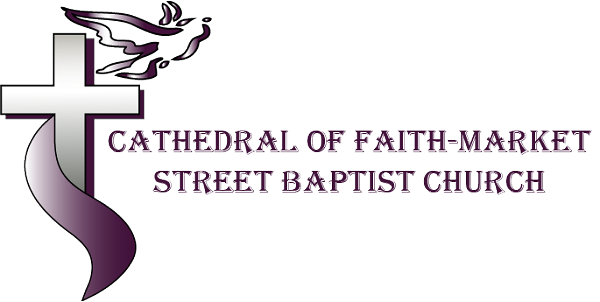 Cathedral of Faith-Market Street is "A Place to Belong", not just attend. Our doors are wide open to people of all backgrounds regardless of where they are in their spiritual journey. So whether you are a new believer or a committed Christian, you can "Find Your Place at Cathedral of Faith". "A Church Where Everybody is Somebody and Christ is the Center of Us All"
Copyright © 2019 Cathedral of Faith-Market Street Baptist Church. All Rights Reserved.